See Part 1. 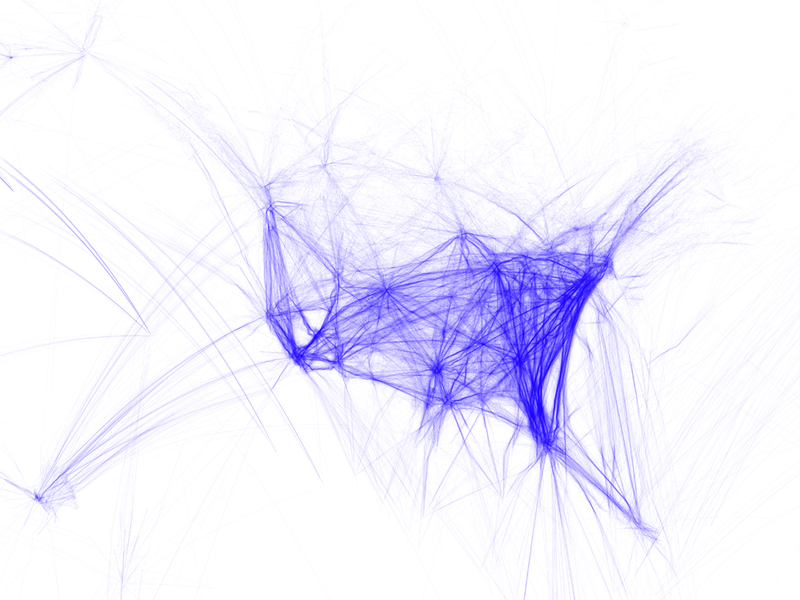 I’ve been exploring a random walk in one dimension, where on object moves either +1 or −1 at each step, at random. On average, it will end up back near where it started (distance = 0), but over time, the likely positions start to spread out. 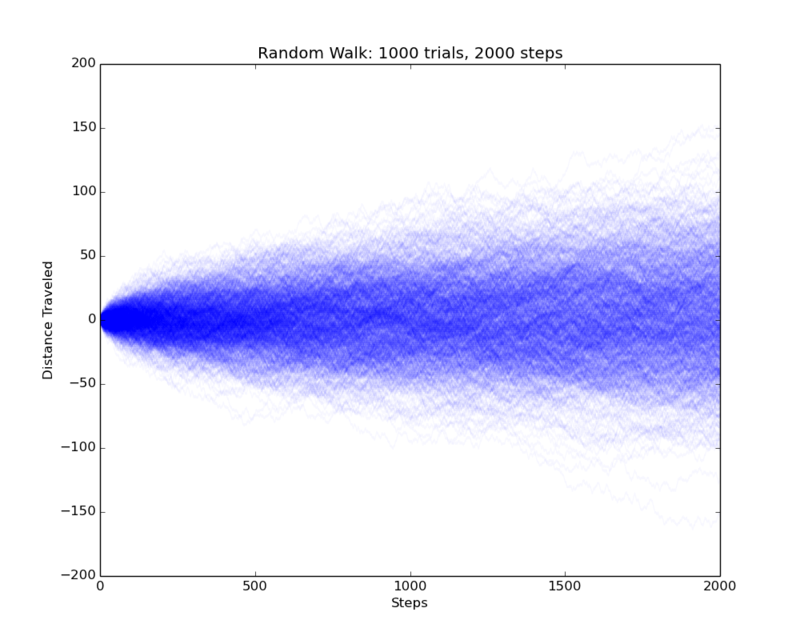 I previously graphed the outcome of 1000 trials for 2000 steps. Although I can see the trajectories start to spread out, I’d like to actually graph the distribution. Problem: Graph the probability of an object ending up at different distances from the origin during a random walk. Phoenix, a NASA robotic probe, landed successfully on Mars on May 25. It landed in the north polar region of Mars, at around the equivalent latitude of northern Alaska, and it will study Mars’ soil to look for clues of past water patterns and if it was ever hospitable to life. Incredibly, as it parachuted down towards the surface, its picture was taken by a satellite orbiting Mars, the Mars Reconnaissance Orbiter (MRO)! From an amazing distance of 750 kilometers (470 miles), it snapped this photograph of Phoenix parachuting towards Mars. This is the first time one probe has photographed another landing on a planet. To see how this fits in to the landing, take a look at this cool animation of Phoenix landing, produced by MAAS Digital and NASA. Source: Live the Solution. See full-size version. This mind map was created by Sharon Genovese, founder of an anti–global warming group called “Live the Solution”. The mind map, as well as several others, are featured in her free e-book Global Warming: A Mind Mapper’s Guide to the Science and Solutions (PDF, 5 MB / 103 pages). A small portion of the graphic featured in the New York Times opinion piece, “A Year in Iraq”. I enjoy seeing different methods used to present and visualize data, and so I found “A Year in Iraq”, an opinion piece in the New York Times by Adriana Lins de Albuquerque and Alicia Cheng to be quite interesting. “The chart … gives information on the type and location of each attack responsible for the 2,592 recorded deaths among American and other coalition troops, Iraqi security forces and members of the peshmerga militias controlled by the Kurdish government.” See the article (free registration required) for the whole graphic and story. Hours after taking office, Australia’s new prime minister, Kevin Rudd, initiated the process of ratifying the Kyoto Protocol, an international agreement to reduce greenhouse gases to help fight climate change. (See, for instance, the Sydney Morning Herald or the BBC). 174 countries have ratified the agreement; the United States is notably absent, especially now that Australia is joining their ranks. Map of countries and their position towards the Kyoto Protocol. Green countries have signed and ratified the treaty; yellow countries have signed but not yet ratified it. Red countries have signed but have no intention of ratifying. Gray countries have not taken a position. See full-sized version. 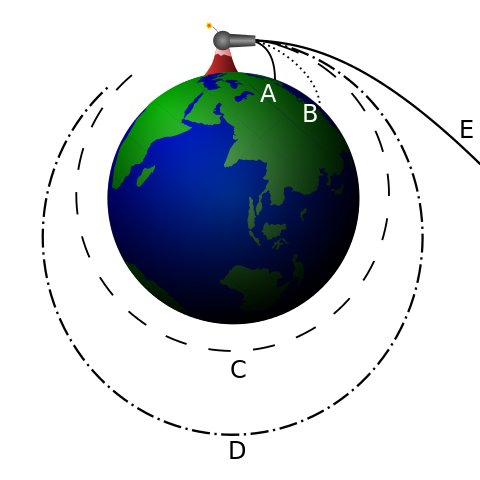 Source: Wikipedia. Created by artist Aaron Koblin. See full-sized version and other versions. This beautiful visualization is part of his project “Flight Patterns”, showing the density and path of airplane flights over the United States. The project features several different visualizations in different styles, but I’m partial to blue. He also created several animations that add a whole new level; it’s especially neat to see the wave of increased air traffic travel east to west as morning arrives in each time zone.